Compare Western Australia gas suppliers on customer satisfaction and find out everything you need to know about gas prices and plans in WA. Compare rates from Kleenheat, AGL, Alinta Energy, Origin, Simply Energy and Perth Energy. Canstar Blue research finalised in January 2019, published in March 2019. Kleenheat has made it three years in a row at the top of our customer satisfaction ratings for WA Gas suppliers. Kleenheat achieved five-star reviews for ease of sign-up, bill & cost clarity, customer service and value for money in 2019. The Western Australia gas market is almost unrecognisable from just a few years ago, with new retailers now competing for your business and genuine price competition helping you save. While the WA gas market has been fully contestable since 2004, Alinta Energy remained the state’s only residential and small business gas provider for many years. In March 2013, however, Kleenheat launched its WA gas service, stepping up as the first serious challenger to Alinta in Perth and other areas along the west coast. 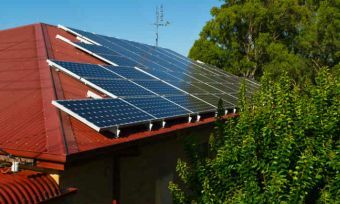 Since then, AGL, Origin and Simply Energy have also moved west to compete for customers, resulting in a state of intense price competition, fought largely over big conditional discounts – meaning it’s time to take advantage. So, where can you find the best deal on price, but also customer service? 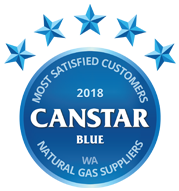 Each year, Canstar Blue surveys hundreds of gas customers across WA to find out which suppliers are living up to expectations. With so much competition and bonus incentives now on offer, there’s no reason why you should settle for anything than less five-star value and service. As Origin and Simply Energy are still relatively new to WA, they have not yet achieved the minimum sample size required to be included in the ratings. However, this year’s review has compared Kleenheat, AGL and Alinta Energy on customer satisfaction. Despite the increased competition, Kleenheat remains the best-rated natural gas supplier in Western Australia, recording five-star reviews for ease of sign-up, bill & cost clarity, customer service and value for money in 2019, in addition to overall satisfaction. AGL received four stars overall but performed very well in certain areas, while Alinta finished bottom of the pile with three stars overall. Read on for further details about this year’s research, as well as our price comparison for all gas suppliers now operating in WA. The competition means you should now have the opportunity to save on your gas bills – but only if you’re proactive and shop around. Read on for pricing and discount details. Standard Form Contract: This plan brings a 12.5% discount off gas usage charges for paying on time. It has quarterly billing with paper or email bills. Monthly Smart Saver: This plan bumps up the discount to 25% off gas usage charges, guaranteed. Customers must pay by direct debit. The plan has monthly email billing. Charges may apply for paper bills. Monthly Energiser: This plan has the biggest discount at 35% off gas usage charges. The 35% off applies for the first 12 months, after which customers are switched onto the Monthly Smart Saver for the next 12 months. Customers must pay by direct debit. The plan has monthly email billing. Charges may apply to paper bills. However, the biggest discount of all is available to RAC members who could be eligible for an extra 3% discount, taking the maximum to 38% off gas usage charges for the first 12 months. 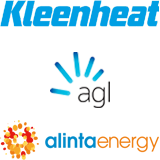 Kleenheat says the bonus discount is for supporting local WA businesses. Fair Go 25: This plan gives Alinta customers 25% off gas usage charges over a benefit period of three years. The plan has flexible billing and payment options, with quarterly billing. Fair Go 30: This plan offers a slightly higher 30% discount off usage charges, but drops the benefit period to two years. Customers will get their bills quarterly and have a choice of payment methods. Fair Go 35: Offering a 35% discount off usage charges, the Fair Go 35 comes with a 12-month benefit period. Expect quarterly billing with the choice of how you want to receive your bills, as well as flexible payment options. Alinta Energy Rewards brings savings of up to 33% off local attractions in WA, with customers able to log-in and apply for tickets via the retailer’s online rewards shop. AGL was the first of the big two energy companies (the other being Origin) to make the move to Western Australia in 2017, now offering residential customers three different gas plans to choose from. All of AGL’s WA gas plans come with no lock-in contracts, the promise of 24/7 customer support, as well as the ability to collect flybuys points. AGL also has a rewards program from which customers can apply for discounts on things like gift cards, restaurants and movie tickets. Signing up to AGL online could see you bank a bonus 10,000 flybuys points, in addition to earning one point for every $1 spent on gas going forward. WA gas customers with Origin can manage their account and bills online at any time of the day. Simply Energy became the third major retailer from the east coast to move west in July 2018. It has three market offers available for WA gas customers, with big discounts and other sign-up incentives the aim of the game. The plans below all come with 24-month benefit periods and have no exit fees. Simply Plus: On this plan, customers receive 35% off gas usage charges when they pay their bills on time. In addition, the plan also offers $50 welcome credit. Simply AFL Plus: The Simply AFL Plus only has a 15% pay on time discount, but customers receive $240 in bonus ‘Free Kick Credit’ over the two-year benefit period – that’s $10 credit on your gas bill every month for 24 months. Simply Movies Plus: This product also includes a 15% pay on time discount, but customers are rewarded with up to 16 free traditional movie tickets, or eight Gold Class tickets, over the two years. Simply Energy says that customers who sign up online will receive $50 credit applied to their first gas bill. 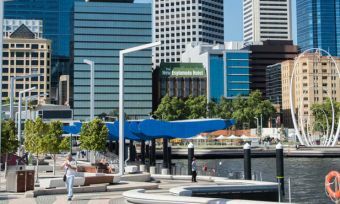 Perth Energy has been supplying natural gas to businesses across WA for more than 15 years, but now offers a standard residential plan for households in the Perth area. 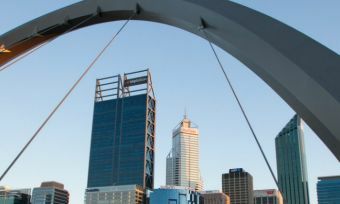 It can also supply areas outside of the Perth metropolitan area. This includes Geraldton, Bunbury, Capel, Busselton, Albany and the Kalgoorlie-Boulder area. Perth Energy also sells electricity to business customers. While WA now has plenty of gas competition, there is very little difference in the actual gas rates that households pay. This is because Western Australia has a regulated price cap, meaning the retailers have a limit as to what they can charge. As you might expect, in most cases the retailers charge as much as they are allowed, or at least very close to the regulated price. This means that discounts really can make the difference when it comes to the overall price you could pay. As mentioned above, discounts of up to 38% off gas usage charges are now on offer. The extra incentives offered by the retailers can also help you decide which plan delivers the best overall value for your money. What about electricity providers in WA? All residential electricity customers in Western Australia are supplied by either Synergy or Horizon Power. While competition is thriving in the gas market, Synergy remains the only electricity retailer for households in the Perth area, while other parts of the state are covered by Horizon Power. Electricity competition in WA is still restricted, so these two retailers have almost identical pricing. Big businesses have several retailers to choose from. Where is natural gas supplied in WA? Our customer satisfaction ratings are based on the feedback of natural gas customers, rather than those who purchase bottled LPG. To connect natural gas to your home or business, you must live in an area with reticulated gas mains. 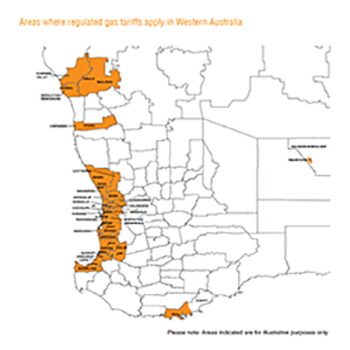 As you can see from the map (right), supplied by the WA Department of Finance, natural gas is only available in the most populated regions of the state, including the areas surrounding Perth, Busselton, Gingin, Albany, Kalgoorlie-Boulder, Geraldton, Mullewa and Carnamah. Alinta Energy services all of the highlighted areas in the map, while Kleenheat, Origin, AGL and Simply Energy can only service the regions along the western coast, from Busselton to Geraldton, which includes the greater Perth area. 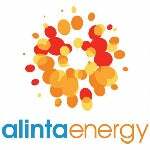 In Kalgoorlie-Boulder and Albany, Alinta is the only residential natural gas provider. If natural gas is not available to your property, a gas supplier may be able to arrange a quote from the network operator to extend the gas mains to your home or business. However, this is only really practical if the property is already near a gas network. Alternatively, If the property is located in a remote area, the only option is bottled LPG. Kleenheat, Alinta, AGL and Origin operate LPG services in some areas. Gas prices in Western Australia remain regulated by the state government for small usage customers. A customer is considered to be ‘small use’ if the property uses less than 1 terajoule (TJ) of natural gas per annum. This realistically includes all households and most small businesses. This means the providers are set a limit as to what they can charge customers. Customers in the Kalgoorlie-Boulder and Albany areas of WA are charged a standard flat rate for their natural gas usage. But customers in Mid-West/South-West WA (i.e. Perth, Geraldton, Carnamah and all the surrounding areas) are typically charged in block usage rates. Under this pricing structure, customers receive one rate for the first 12 units (43.2 MJ) of gas used per day, and a lower rate for any additional gas usage beyond that. To put that into perspective, the average gas oven will use around 12 megajoules an hour. Below we have listed the natural gas prices for Alinta Energy, Kleenheat, AGL, Origin, Simply Energy and Perth Energy. As you will see, most gas retailers set their prices at, or very near, the maximum cap they are allowed to charge. However, these rates don’t factor in discounts, which will ultimately make the difference in terms of finding the overall lowest prices. Source: Department of Treasury website and respective retailer websites, March 2019. Source: Department of Treasury website and Alinta Energy website, March 2019. Natural gas is produced and refined by large, international fuel companies, such as BHP Billiton, BP, Chevron, ExxonMobil, Santos, Shell and Woodside Energy. Most of Western Australia’s gas supply comes from the off-shore Carnarvon, Browse and Bonaparte basins. Once it’s extracted, the gas is transported to mains gas systems across the state via high-pressure gas pipelines. The natural gas mains system in WA is operated and maintained by ATCO Gas Australia (formerly WA Gas Networks). This is who you should contact if anything goes wrong with your gas supply, or in case of an emergency, such as a gas leak. ATCO is responsible for meter readings and passes this information onto your energy retailer for billing purposes. Your retailer – be it Alinta, Kleenheat, Origin, AGL or Simply Energy – will then bill you for your gas usage and collect the additional supply charges on behalf of ATCO. Kleenheat, Origin, Alinta Energy, Simply Energy and AGL sell natural gas to business customers. Medium to large businesses have a few extra options as Synergy and Perth Energy retail natural gas to customers consuming at least 180 gigajoules (GJ) of gas per annum, or about $6,000 per year. Businesses that don’t use this much gas will remain limited to the options we’ve just mentioned. While natural gas prices are only regulated for customers consuming less than 1 TJ of gas per annum, large businesses in WA are free to negotiate rates with their retailer. What’s next for the WA energy market? The Western Australia government has allowed competition in the residential gas market for years, yet only recently have things really started to heat up. As mentioned, Simply Energy, AGL and Origin have recently joined the WA natural gas market, while another retailer, Perth Energy, offers a standard contract and could soon place more emphasis on attracting residential customers. AGL, Simply Energy, Origin and any other potential newcomers will have their work cut out for them to secure a foothold in the WA gas market as prices remain regulated and there is therefore minimal difference in terms of what customers actually pay. However, the large discounts (conditional or otherwise) now being offered are proving the main point of difference. Our survey of WA gas customers found that three-quarters (75%) think they get a good deal on their gas, with 33% switching suppliers in the last two years. Of those who have switched, seven out of ten (70%) believe it has proved a good financial decision. Just 15% are not convinced switching has paid off, while the rest believe it’s too early to tell. Of those customers who haven’t switched gas suppliers in the last two years, one third (33%) said it’s because they are happy with their existing retailer. Interestingly, our research found that natural gas customers in Western Australia are generally more satisfied with their service than customers in other states of Australia. However, with new retailers likely to join the residential gas market in the years to come, customers should regularly review their energy options and compare plans in their area. While WA gas prices remain regulated, the retailers can still compete to offer the best deals and service. When it comes to electricity, it looks like Western Australia will not be opening up to retail competition for the foreseeable future. Where can you find the best deal on gas in WA? 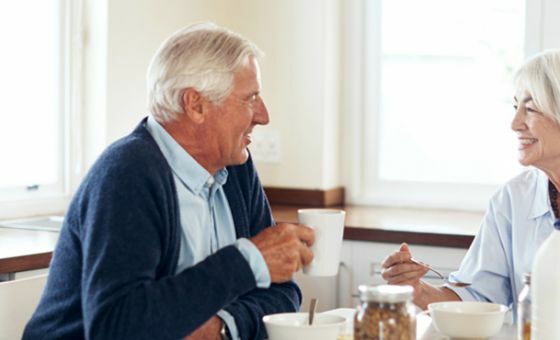 Given that the overall price you pay for power will likely be determined by the size of the discount you receive, it’s important to look for other value-add incentives when it comes to picking the plan and provider that’s best for you. As mentioned in this report, all of the gas retailers in WA have some point of difference in the market, whether that’s because they have a rewards programs which delivers savings on something that interests you, or because they offer movie tickets, or perhaps because you can collect flybuys points when you pay your bills. The point is that it’s important to make your decision based on several factors, which should include how that retailer is rated by its existing customers. And that’s where our annual review can help. Canstar Blue surveyed 12,000 Australian adults across a range of categories to measure and track customer satisfaction, via ISO 26362 accredited research panels managed by Qualtrics. The outcomes reported are the results from customers within the survey group who live in Western Australia, have a gas account, and pay the bills – in this case, 760 people. Canstar Blue explains the Western Australian electricity and gas market. Read everything you need to know at Canstar Blue. Compare electricity tariffs and prices in the Perth area of Western Australia to find the cheapest deal for your household’s needs. When do peak and off-peak electricity rates apply? 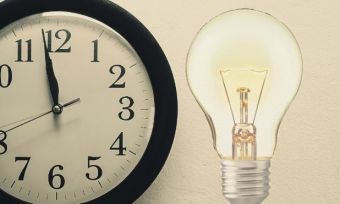 Review tariffs and peak usage hours from Origin Energy, AGL and EnergyAustralia.